THE B-MOVIE NEWS VAULT: Celebrate He Who Walks Behind the Rows With Arrow Video's Special Edition Blu-ray of CHILDREN OF THE CORN! Celebrate He Who Walks Behind the Rows With Arrow Video's Special Edition Blu-ray of CHILDREN OF THE CORN! 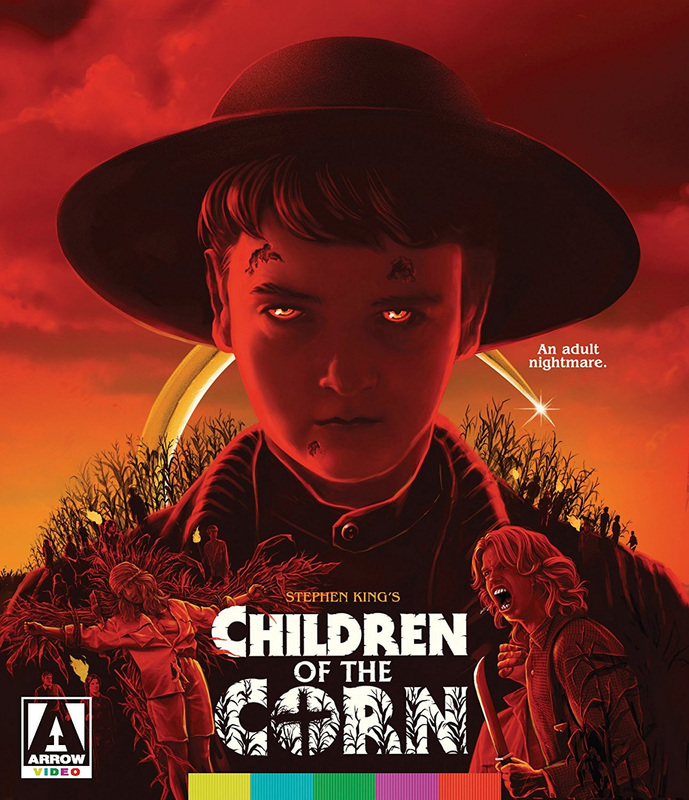 ON OCTOBER 3RD, ARROW VIDEO GIVES "CHILDREN OF THE CORN" A MUST HAVE SPECIAL EDITION RELEASE! CHILDREN OF THE CORN has always been one of my favorite Stephen King adaptations, and it still holds up relatively well over three decades later. (The nine followup films... haven't fared as well.) So naturally I'm pretty stoked for this Arrow release, which boasts a ton of extras, and an all new 2K transfer of the film! Synopsis: From the mind of celebrated horror author Stephen King, the man behind such classic terror tales as The Shining, Carrie and It, comes one of his most chilling offerings yet: CHILDREN OF THE CORN. Adapted from King s eponymous short story first published in 1977 and starring Linda Hamilton (THE TERMINATOR) and Peter Horton (Thirtysomething), CHILDREN OF THE CORN has gone on to spawn one of the most enduring horror franchises of all time. Brand new 2K restoration from the original negative! Brand new audio commentary with John Sullivan of childrenofthecornmovie.com and horror journalist Justin Beahm! Audio commentary with director Fritz Kiersch, producer Terrence Kirby, and actors John Franklin and Courtney Gains! Harvesting Horror: The Making of Children of the Corn – A retrospective piece featuring interviews with director Fritz Kiersch and actors John Franklin and Courtney Gains! It Was the Eighties! – An interview with actress Linda Hamilton! Return to Gatlin – A brand new featurette revisiting the film’s original Iowa shooting locations! Stephen King on a Shoestring – An interview with producer Donald Borchers. Welcome to Gatlin: The Sights and Sounds of Children of the Corn – An interview with production designer Craig Stearns and composer Jonathan Elias. Feeling Blue – An interview with the actor who played “The Blue Man” in the fabled excised sequence. FIRST PRESSING: Collectors booklet featuring new writing in the film! Wow! Arrow Video went all out for this release, and I hope to add it to my collection in the very near future! CHILDREN OF THE CORN: SPECIAL EDITION will be available on October 3rd (though that release date could be subject to change), and you can order it now from AMAZON, BULLMOOSE, or DIABOLIK DVD!